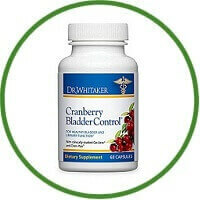 Cranberry Bladder Control blends two clinically researched ingredients that address your overactive bladder and total bladder health. The first ingredient is Go-Less pumpkin seed concentrate, which strengthens bladder and pelvic muscles to achieve better bladder control so you can enjoy uninterrupted sleep plus total bladder confidence. The second ingredient is Cran-Max cranberry extract, which is unique from other cranberry extracts because it is made from a proprietary process that utilizes all of the most vital parts of the cranberry skin, seeds, pulp, juice and fibre. In addition, it uses a unique, patented delivery system called Bio-Shield Technology, which protects it from destructive gastric acid as it passes through the digestive system until it reaches the lower GI tract where it can be better absorbed. Cran-Max has been clinically researched to support a healthy urinary environment and overall bladder health and it keeps your urinary tract in tip-top shape. 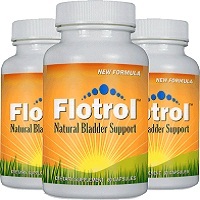 These two ingredients work together to provide all-day and all-night comfort and support to help you achieve better bladder health. That means you can finally get your life back to where it belongs when bladder and urinary issues were not a concern.